Missed a game on the daily sale for the 2011 Steam Holdiay Sale? Fret not, Steam has one more chance to abuse your wallet, err, is giving you one last chance to buy the games you missed! Well, some of them at least. 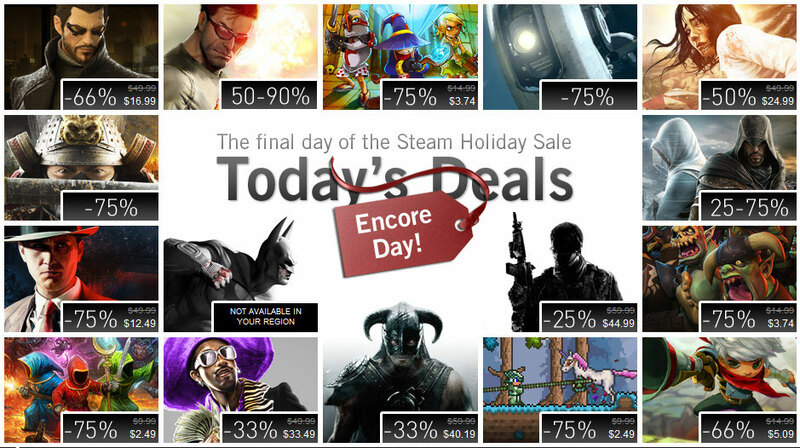 Today is “Encore Day” and Steam is featuring the biggest deals of the entire sale one more time including Skyrim at 33% off, Arkham City at 50%, Dead Island at 50% off, Modern Warfare 3 at 25% off, etc. Damn! And I thought my wallet is safe.